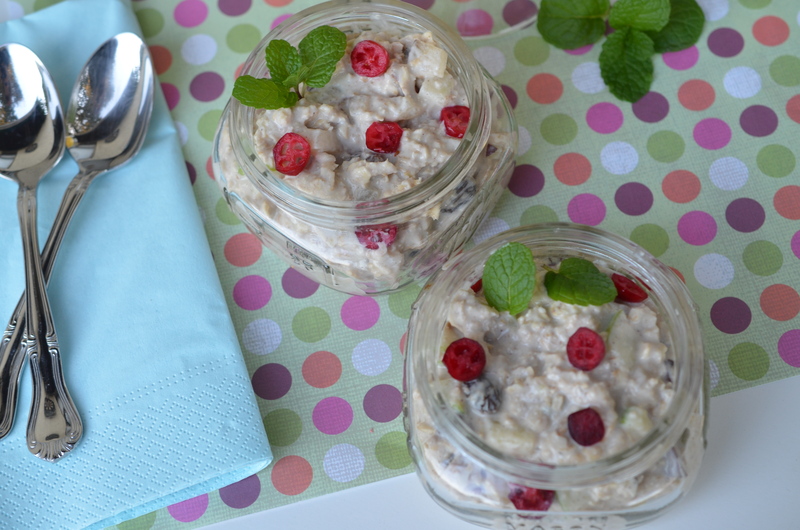 Swiss physician Maximilian Bircher-Benner introduced Muesli around 1900 for patients in his hospital, which required a diet rich in fresh fruit and vegetables. He had been served a similar dish when taking a long hike thru the Swiss Alps. 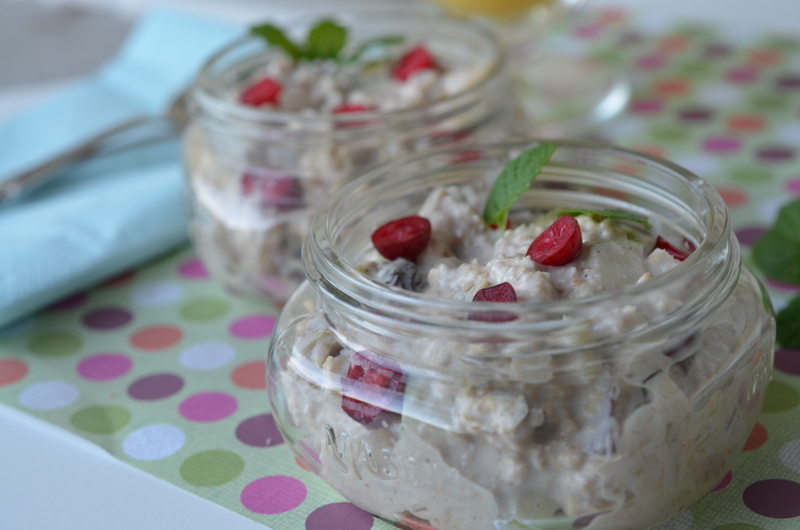 A healthy breakfast that sticks with you- yes please! I added ginger to get an extra layer of flavor, not to mention add nutritional values that ginger offers- digestive, sinus and more. I am especially fond of a little kick start in my breakfast, like it gets the blood flowing and energy zipping! In a small mixing bowl, mix together brown sugar, honey, orange juice, ginger and salt together. Add in the milk and yogurt and mix well. 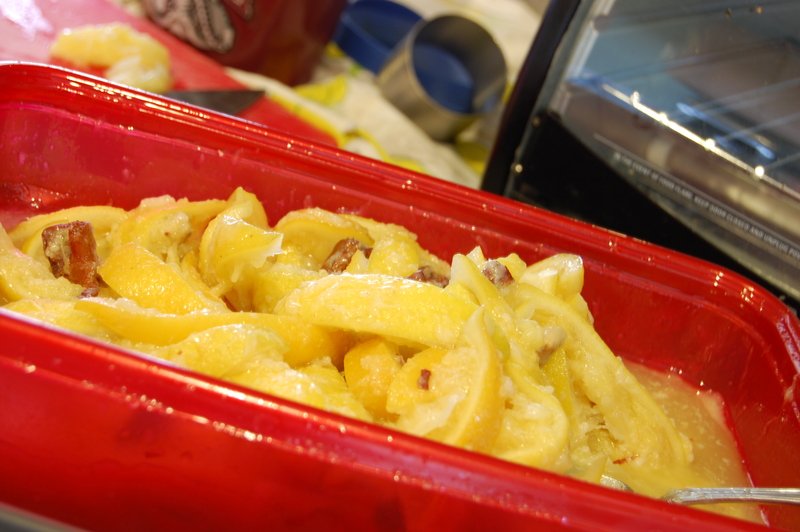 In a separate large mixing bowl combine the remaining 6 ingredients, and stir in the yogurt mixture. Cover and allow to sit 4 hours or overnight. Stir well before serving. Garnish with fresh mint or berries. 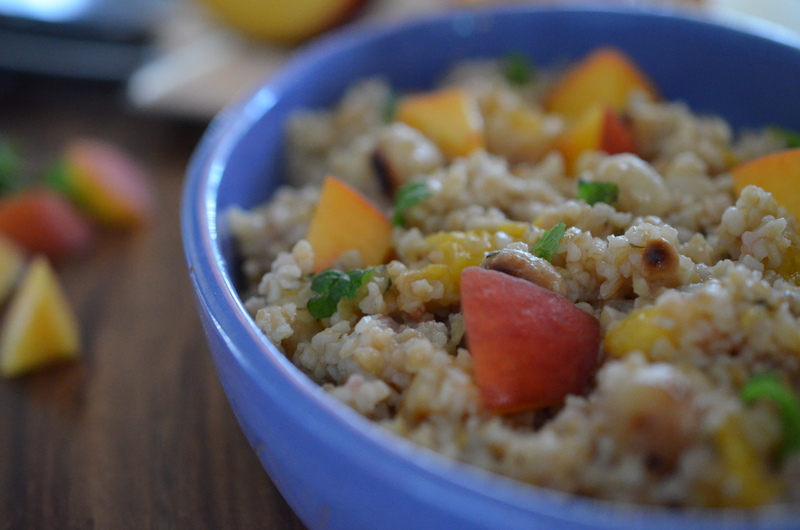 This is a healthy, make ahead, easy dish to throw together for quick, on the go morning meals that are so easy to skip. 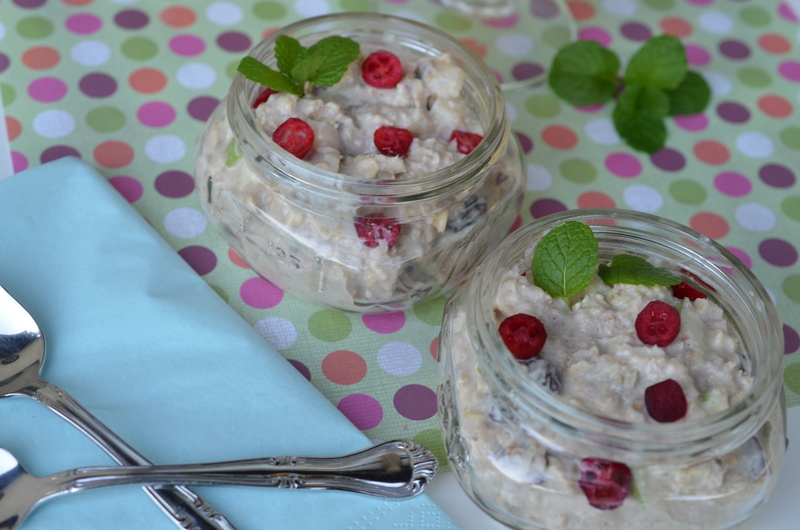 I made a batch and we had a few breakfasts with it while the rest went into Tupperware. Slowly the Tupperware got emptied by me sneaking a spoonful here and there when those hunger pains struck. Both filling and satisfying! 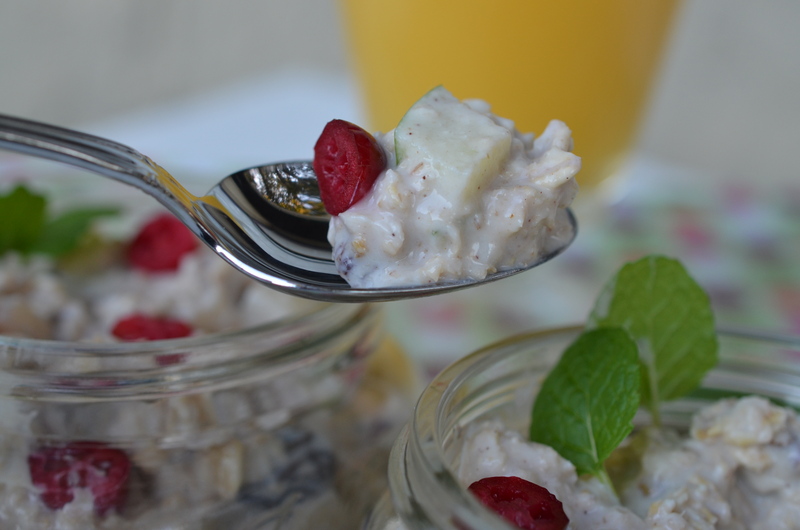 Make your own Muesli by changing the fruit, or even adding different juices, it is hard to mess up Muesli as longs as you keep the oats to “liquid” in proportion. Play with flavors and create your own! We still have peaches filling the produce section of our grocery store with juicy, sweet smelling nectar. I found this summer that I am definitely a peach person. They just translate so well with other foods. I love them with desserts and savory dishes, herbs, wines, fish, pork, chicken, vegetables, grilled, poached, raw, sautéed, flambéed. It’s hard for a peach not to make anything better. Quick and easy, fresh and tasty. All words that matter when we think about school kicking back in. 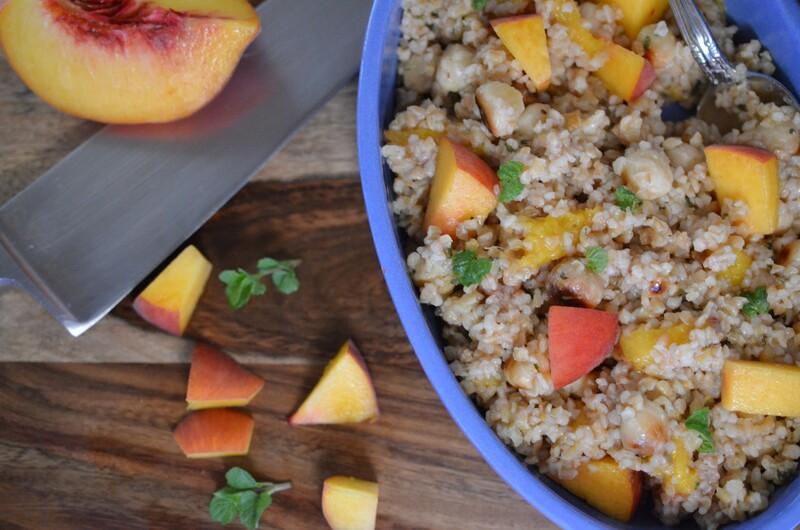 With peaches still hanging on to the season, I saw this salad and knew it would make a perfect cookout side, a last day of summer picnic lunch, or even an on the go salad. 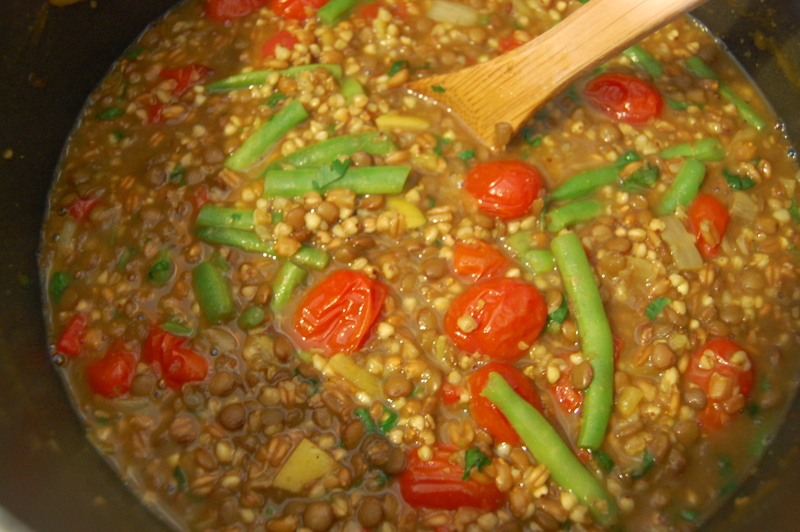 In a small sauce pot bring 2 cups water and bulgur to a boil. Place cover on the pot, reduce heat to medium, and cook about 10-12 minutes until tender. 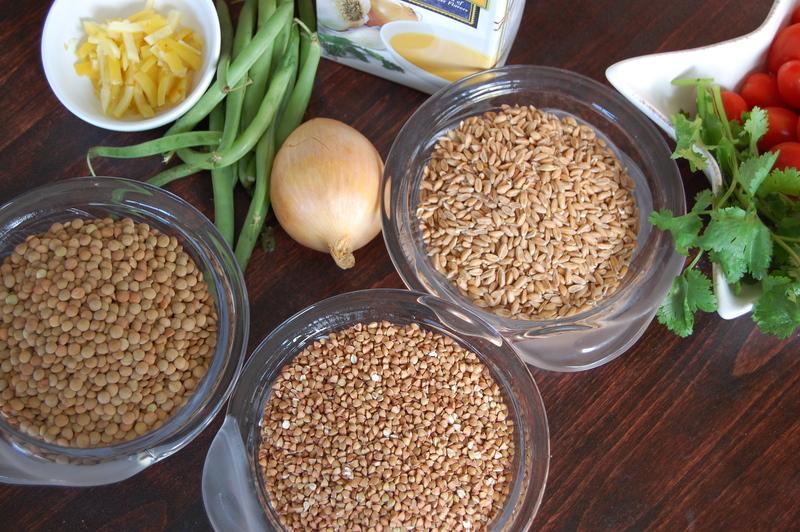 While bulgur is cooking combine vinegar, oil, sugar, salt and pepper in a large bowl. 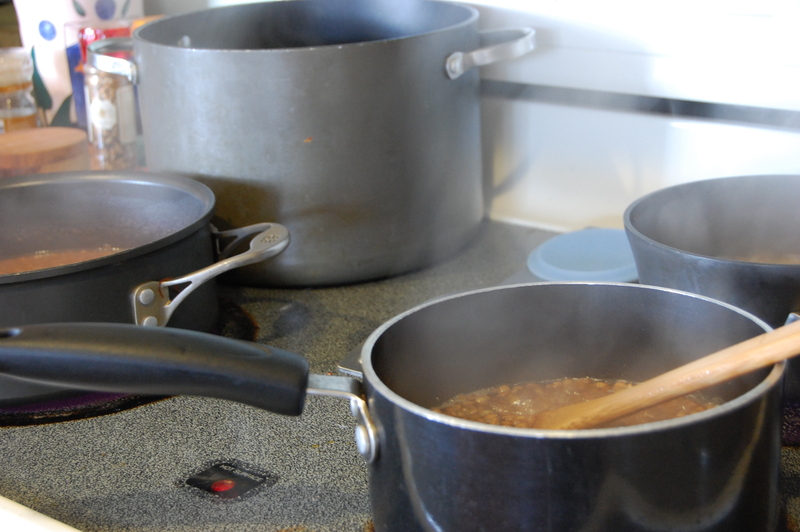 Drain the bulgur from the sauce pot and give a quick rinse of cold water. 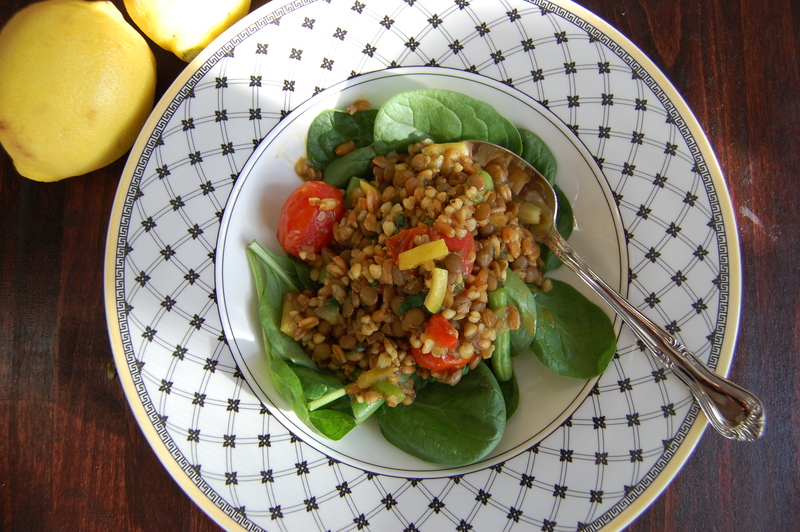 Add warm bulgur to the vinegar and oil mix and toss. 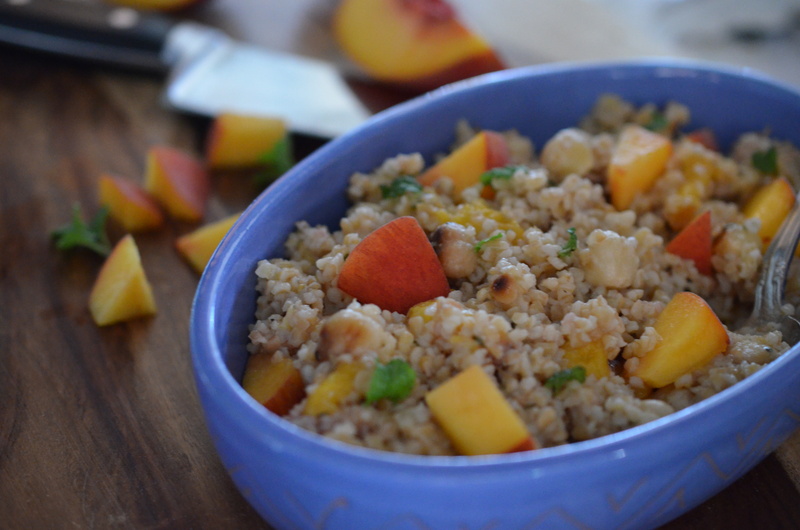 Allow to cool to room temperature and add the peaches and mint to the salad. Refrigerate until ready to serve. Hold on tight to these last moments of summer; enjoy the longer days, the warm evening sunsets, and the family time. Also- hold on to the peaches, as the perfect fruit will be gone soon. Summer vacation has caught up with us, which is evident in the tightness of our pants. Time to lighten up and hopefully we can knock these extra pounds off before football season starts. With this goal, we really try to kick up the flavors in our dishes, which helps to satisfy the rumbles in the tummy that a diet brings. 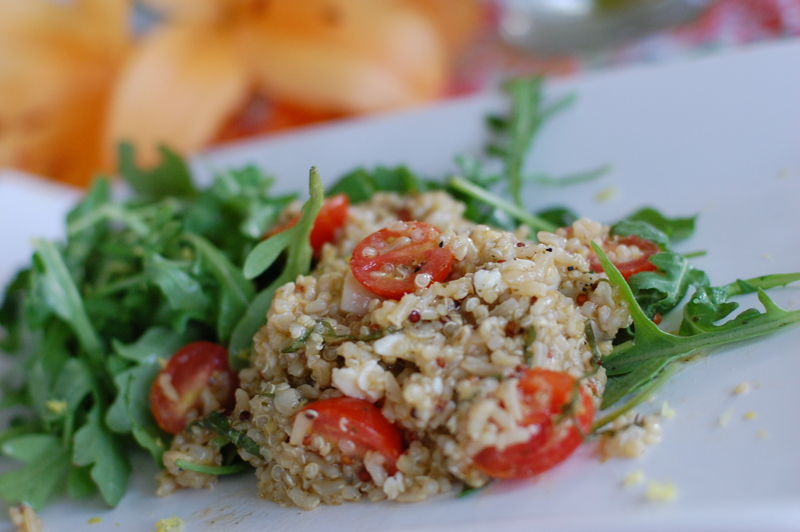 Lemon, Feta, Tomatoes, Basil…perfect blend of flavors! 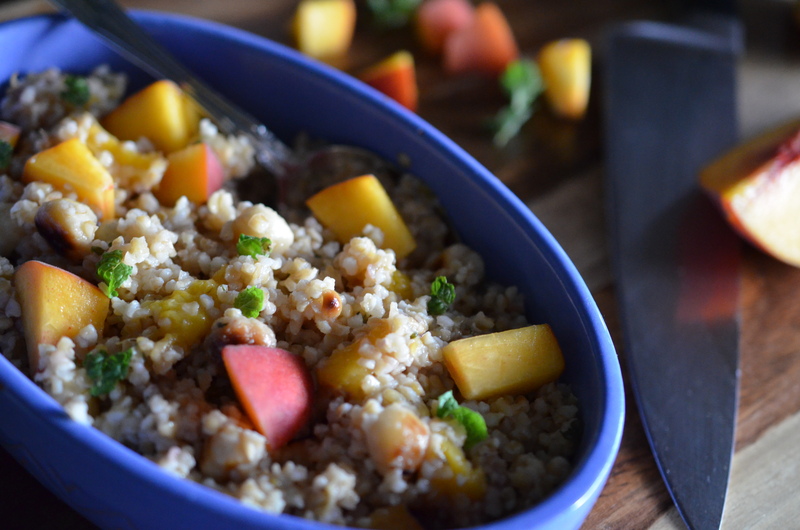 For some people quinoa sounds a bit intimidating, even exotic, which may make it seem unapproachable. The good news is that it is very simple to cook, almost as easy as rice. 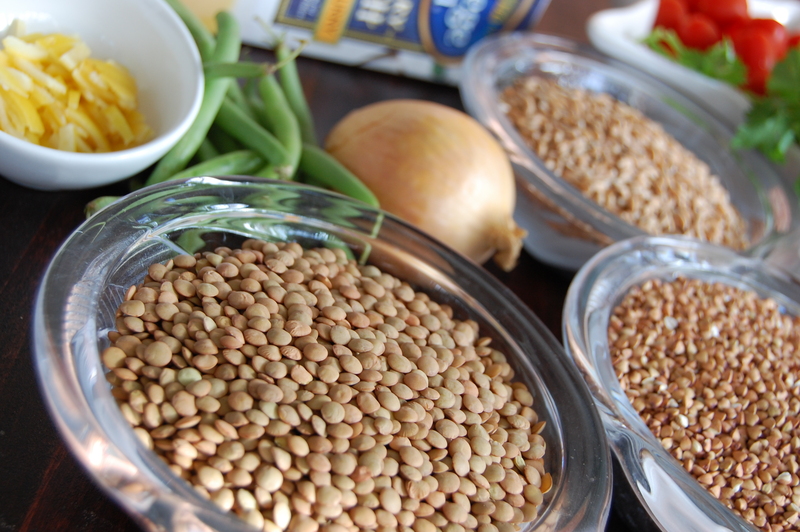 It also is very versatile, and can be used in place of pasta or rice in many dishes; but gives you much more nutrients. 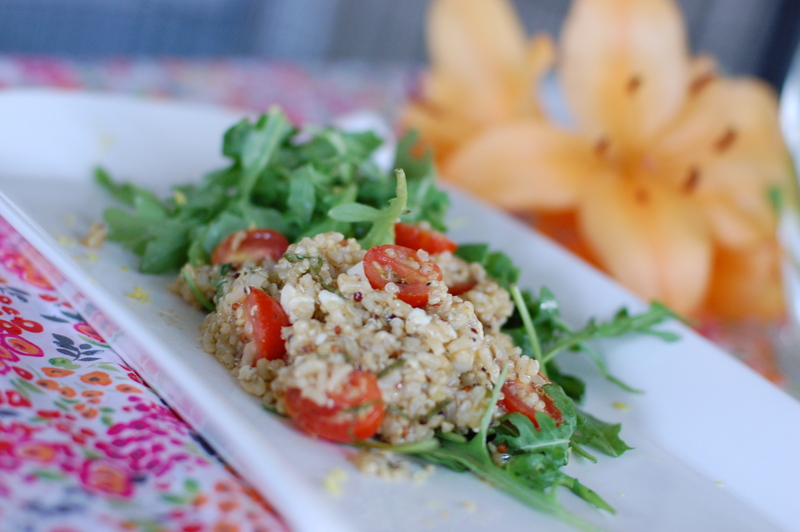 Read more about Quinoa here. Cook the quinoa according to the packaging. 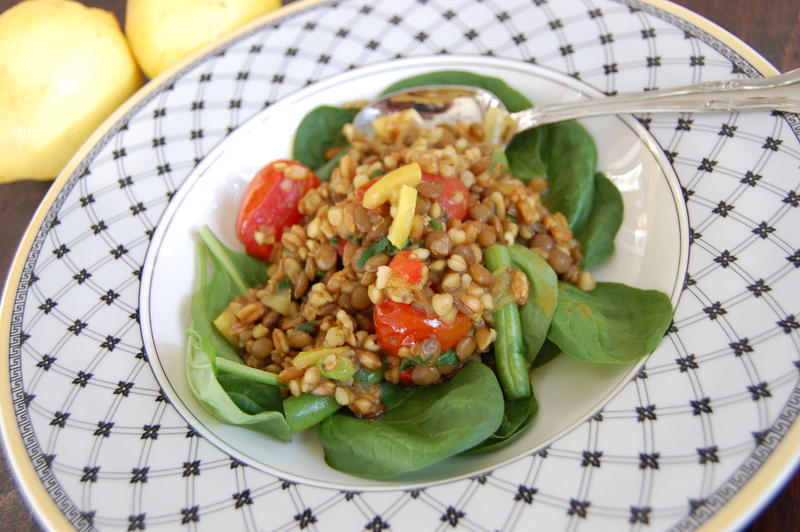 While the grains are cooking prepare the vinaigrette. 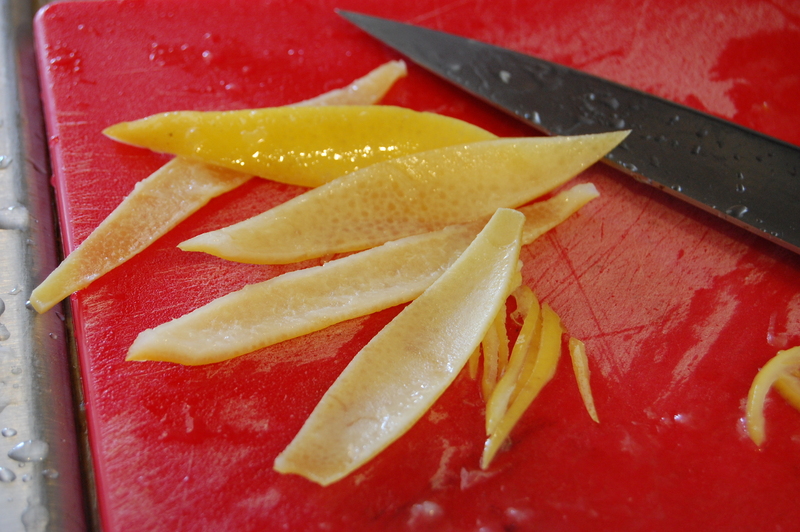 Combine the lemon zest, juice, vinegar and mustard in a mixing bowl. Whisk aggressively while slowly adding in the oil. After the quinoa is cooked, transfer it to a shallow container and pour ½ of the vinaigrette over the grains, mixing well. 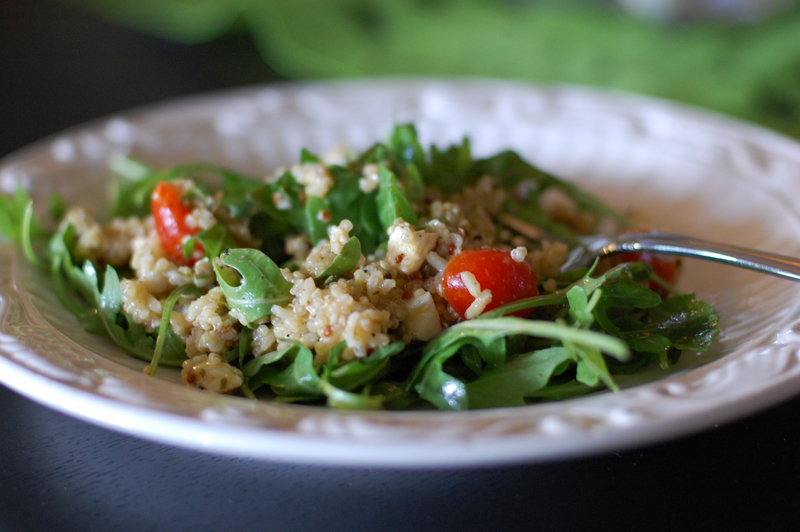 Adding the vinaigrette to the quinoa while it is still hot will help the flavor steep into the grains. Add in the onions, tomatoes, basil and feta as well, giving the chance for all the flavors to mingle and blossom. Cool the salad until ready to serve. When ready to serve, toss the greens with remaining vinaigrette and assemble the plate by putting the greens on the plate, followed by the quinoa salad. Serves 2-4, depending how hungry everyone is! 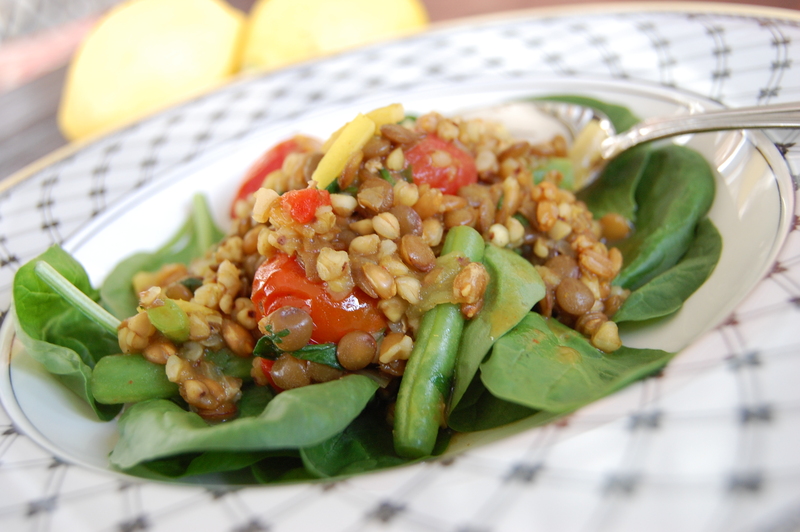 Healthy and tasty summer dish! Cheers to the fast approaching end of summer! Enjoy! !